Curriqui finished his spanish title, after his monografica, castuera, jerez and talavera shows wins, in a record time! So happy about our Spanish water Dogs! 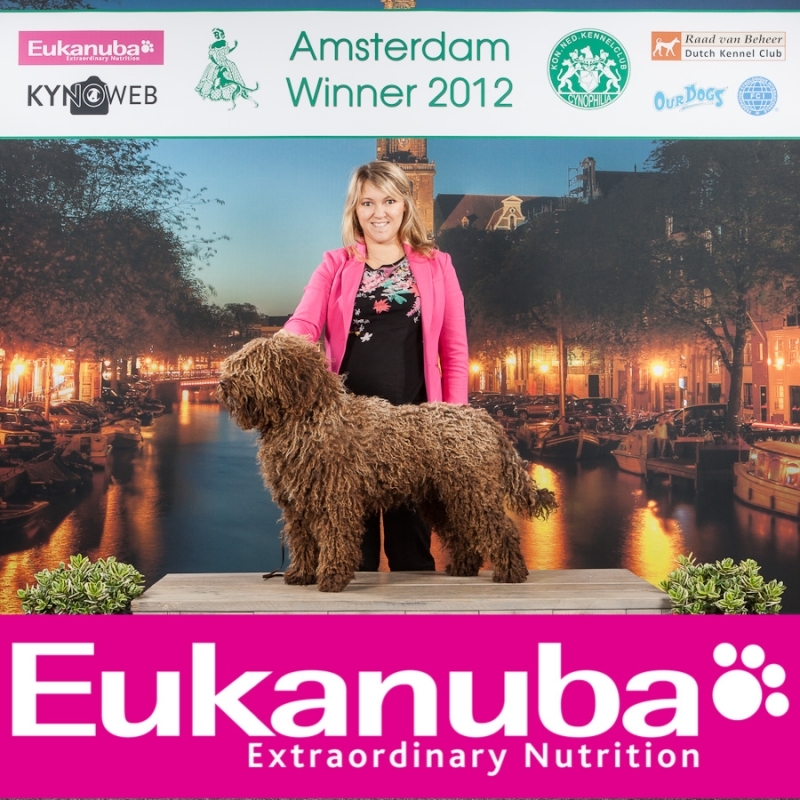 Yesterday at Amsterdam winner show Benalmadena de Fraguel`s junBOB & Amsterdam juniorwinner-12. 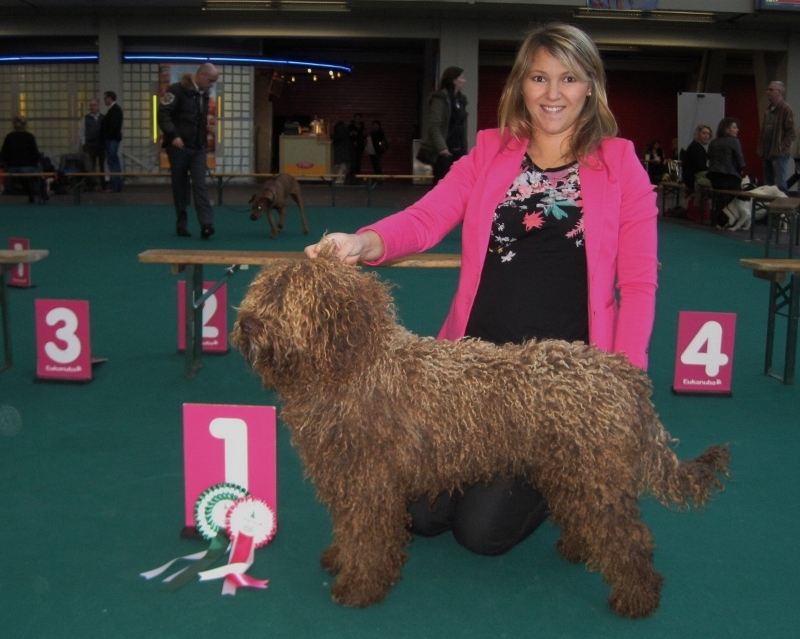 Congrats to Turco´s superdaughter Santonja Billion Dollar Babe BOS, CACIB, CAC, Amsterdam Winner-12 and NL & FI & DK CH! 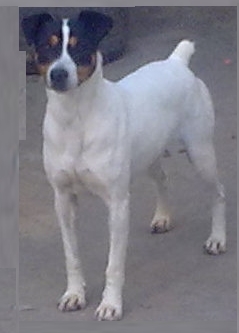 and to her breeder Kamile! On Nov17-18 we had our city Nat & Intnl dog shows. 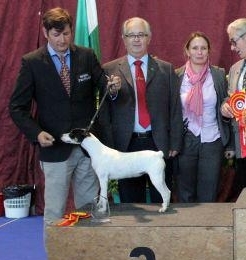 Chispa, Lola de Fraguel´s, winning Spanish Breeds BIS 2 at Jerez International Dog Show. 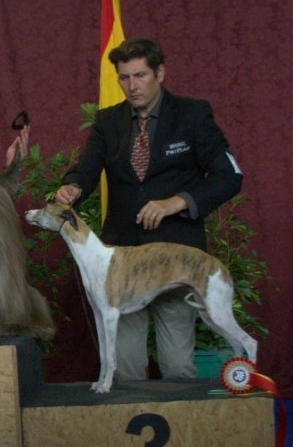 Curriqui, Fundador de Fraguel´s, another RBA owned by our friend Cristobal Carnero was BOB previous day at nat´l and Cac both days! 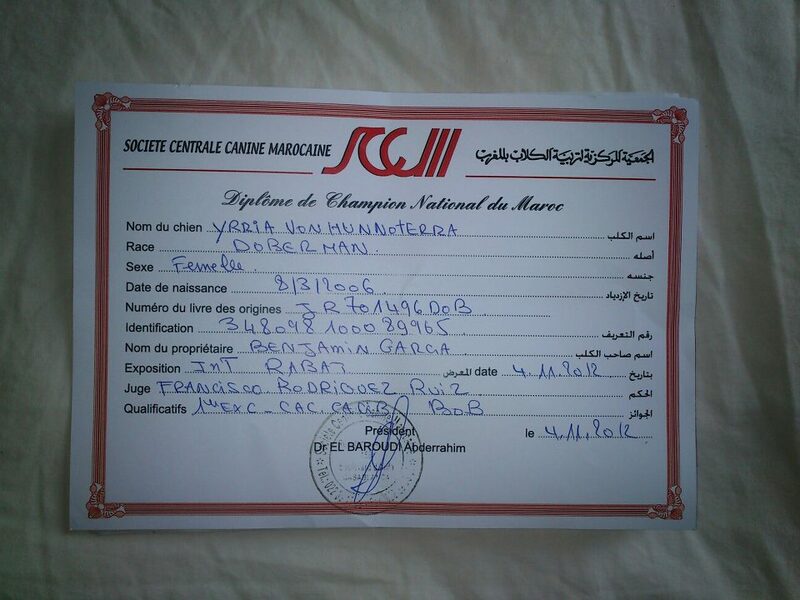 Morocco Dog Show 2012, what an adventure! after a very long trip we are safe at home! !